Mommy Bear’s Family Movie Review – This movie tells a fantastic story and is entertaining and enjoyable to watch. It reminds us that anyone can change and make up for wrongs they have done in the past. It’s a great movie! Summary – Rebelling against his parents and the broken home he comes from, fifteen-year-old Matthew Stevenson makes a destructive choice to get attention: he vandalizes the church his father is renovating. To avoid criminal charges, he agrees to repair the damage he caused to the intricate carvings and finds himself working alongside Ernest Otto (John Ratzenberger), a talented but reclusive woodworker. Laboring together, an unlikely friendship forms and both come to realize that all things are possible with faith, family and friendship. Mommy Bear’s Family Movie Review – This a really cute movie that is both funny and easy to watch, and it tells stories from the Bible all at the same time! This is the perfect movie to watch with small children during the Christmas season! 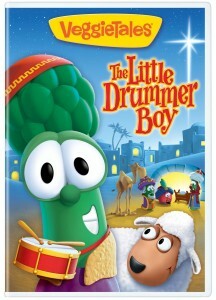 Summary – In this Veggie-version of a holiday classic, Junior Asparagus stars as The Little Drummer Boy, a lonely child who finds the true meaning of Christmas when he stumbles upon the birth of the baby Jesus. A story of generosity, hope and love, this timeless tale will warm the hearts of children everywhere! Mommy Bear’s Family Movie Review – This movie is perfect for kids! 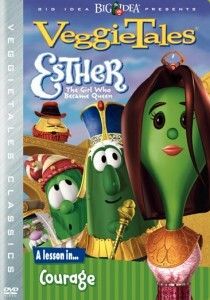 It adds humor to a well known Bible story which makes it fun for the kids and for adults! I recommend this one! Summary – For thousands of years people have heard the story of a man who was eaten by a whale and lived to tell about it! But never in all that time has it been told by vegetables…until NOW! Mommy Bear’s Family Movie Review – Love Begins is a wonderful beginning to an excellent series. I have read the book series and these movies are similar in ways, but pretty different. If you haven’t read the books or if you don’t compare them to the movies (because they really are quite different) then you will really enjoy the entire movie series. Summary – After their father’s passing, Ellen Barlow (Julie Mond) and her sister Cassie struggle to maintain the family farm in Anderson’s Corner. When Clark Davis (Wes Brown) finds trouble in town on his way to California, Ellen agrees to hire him at the farm to work off his debts. Before long, Clarke and Ellen unexpectedly develop feelings for each other. Ultimately, a turn of events inspires the pair to begin a legacy of love and faith together in this stirring family drama. Mommy Bear’s Family Movie Review – This heart warming story of the life of Emma Smith helped me realize how difficult Emma’s life must have been. 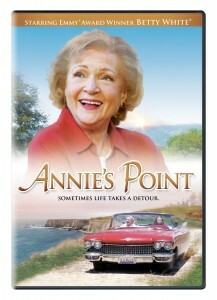 This is a well done movie to portray the life of a wonderful woman! Summary – Before her death, Emma reflects on her life; beginning with her childhood, up through her final years in Nauvoo. Based on the life of Emma Hale Smith. Mommy Bear’s Family Movie Review – This is the most recent movie in the series just like all of the other movies in the series it is inspirational and motivating. It has a great story to follow and is touching. With the bank threatening to seize their farm, Clark Davis (Brown) and his wife Ellen (Julie Mond) struggle to support their family on land withered by drought. To make ends meet, Ellen takes a job in town, but she pushes herself to exhaustion and succumbs to scarlet fever. Devastated, Clark is determined to stay and raise their daughter on the land that he and Ellen loved. With help from his parents (Ladd and Boxleitner), the family’s love and courage lead them to inspiring new beginnings in this compelling story based on the epic Love Comes Softly series. Mommy Bear’s Family Movie Review – This is a classic Christian movie that tells the story of how a man works his way to God and is forced to decide whether he will follow his own will or God’s. I really liked this one and recommend it to anyone! Summary – Jeff and Heather were the “lucky ones.” Best friends from childhood, high school sweethearts, and married by 22, they were inseparable soul mates. Jeff’s world is dramatically rocked when Heather disappears after the birth of their son. Heather shockingly reappears ten years later in the most unusual place. Mommy Bear’s Family Movie Review – This movie is spectacular because it shows that we need to give everyone and fair chance and not just to early conclusions about people based off how they look. This was an emotional movie, and that made it even better! Summary – Years after his wife Kate (Melanie Nelson) died, Ned Stevens (Curt Doussett, Saints and Soldiers) still cringes at the thought of dating other women. After all, why would he start dating again when he still has to look out for his daughter Liz (Brittany Peltier)? But when Liz comes home for a visit from college, she brings a surprise guest who will throw Ned for a loop. Can Ned ever accept that his little girl has fallen in love with David (Kirby Heyborne, The Best Two Years), a practically perfect know-it-all who drives Ned crazy? With Ned trying to sabotage the relationship, Liz tries to divert his attention to Carol (Michelle Money, The Bachelor), the charming single woman Ned sees jogging every morning. 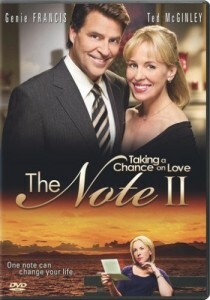 Together, Liz and David will teach Ned that with love, there are always second chances. Mommy Bear’s Family Movie Review – This is the definition of a “romance.” It tells a good story and shows us that we need to be fully invested in a relationship in order to allow love to build. I liked this one! Summary – When do you take a chance on love? It’s a question columnist Peyton MacGruder (Genie Francis, General Hospital) asks herself and her readers. 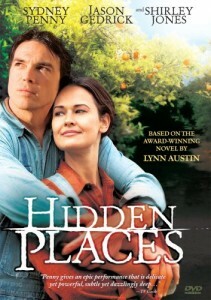 Haunted by past mistakes, Peyton hesitates to take the next step with the man she loves (Ted McGinley, Hope & Faith). But a note from a reader warns about the regret caused by passion denied. Peyton uncovers the author’s secret history involving a doomed romance and a love which may yet live again. Mommy Bear’s Family Movie Review – The RM is intended to be funny throughout the entire movie. 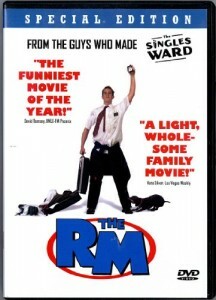 If you have served as a Mormon missionary, this one will keep you laughing throughout the entire movie! Summary – Kirby Heyborne (The Singles Ward) stars as Jared Phelps, a recently returned LDS missionary. Picking up where he left off two years earlier, he’s anxious to reunite with his family, return to his old job, and reacquaint himself with his longtime girlfriend. Confident that he will be blessed for his faithful service, Jared soon finds his life turned upside-down! Mommy Bear’s Family Movie Review – This is a great Christmas movie that reminds us the true meaning of Christmas: family, service, friends, and love. This is a great movie to watch with the whole family during the Christmas season! 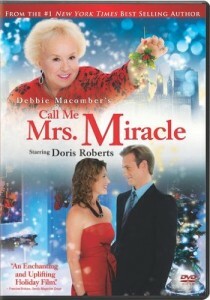 Summary – Doris Roberts reprises her role as Mrs. Merkle (Mrs. Miracle) and brings hope for the holidays. Posing as an unassuming toy department clerk, she sets out to ensure that this Christmas is memorable and meaningful for all at a struggling family-owned department store in New York City. With broken dreams to mend and promises to keep, Mrs. Miracle has her work cut out for her, but she won’t give up until she delivers a merry, meaningful Christmas for all! Mommy Bear’s Family Movie Review – In my opinion this is one of the more poorly done “Mormon movies,” but it is meant to be funny, so there are several parts that will definitely make you laugh! Summary – When Carmine “The Beans” Pasquale (Mark DeCarlo) is nabbed by the FBI, he decides to testify against his mafia boss (Michael Kagan) and go into the Witness Relocation Program with his wife Gina (Jeanette Puhich) and son Vincent (Clayton Taylor). Now known as George, Linda and Patrick Cheeseman, the Pasquale family is sent to suburban Utah to begin their new life. But can the “Cheesemans” survive in a world where everyone is Mormon, all coffee is bad and scrapbooking reigns supreme? Mommy Bear’s Family Movie Review – This is probably my favorite Christian movie because it shows how the main character, John, relies on the grace of God to help him as he serves as a Mormon missionary. The entire movie is emotional and will keep you on the edge of your seat. I highly recommend this one! Summary – When 19-year-old John Groberg (Gorham) is sent on a three-year mission to Tonga, he has no idea what he’s getting into. In fact, just getting to Tonga is fraught with danger and unbelievable obstacles. Once there, he finds himself in the midst of a culture as remote to him as the island is to his Idaho Falls home. Not understanding the language and lonely for the girl he left behind, Jean (Hathaway), John faces suspicion, distrust, typhoons, tidal waves, mosquitoes and other perils of man and nature as he reaches out to the people of Tonga. Mommy Bear’s Family Movie Review – This movie is brand new this season and is part of the Love Comes Softly. Let me know what you think of this movie it should be great just like the rest of the series. Summary – Still mourning the loss of her husband and daughter, Ellie Davis (Hall) agrees to watch her brother Aaron’s (Vaughan) children while he heads off to purchase farmland. But after a suspicious fire, Ellie finds herself playing detective – with the help of a handsome deputy – to clear the name of a family friend. Despite her worries when Aaron doesn’t return, if Ellie can trust her father, this Christmas just might bring more miracles than she could have hoped for in an exhilarating story inspired by Janette Oke’s cherished “Love Comes Softly” novel series. Mommy Bear’s Family Movie Review – While this movie wasn’t my favorite, it did a good job helping us remember that the simple pleasures in life is what life really is all about. 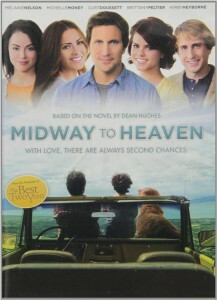 It has a mix of comedy, romance, and faith, which makes this movie intriguing. Summary – A visionary Sheikh (Amr Waked) believes his passion for the peaceful pastime of salmon fishing can enrich the lives of his people, and he dreams of bringing the sport to the not so fish-friendly desert. Willing to spare no expense, he instructs his representative (Emily Blunt) to turn the dream into reality, an extraordinary feat that will require the involvement of Britain’s leading fisheries expert (Ewan McGregor), who happens to think the project both absurd and unachievable. That is, until the Prime Minister’s overzealous press secretary (Kristin Scott Thomas) latches onto it as a ‘good will’ story. Now, this unlikely team will put it all on the line and embark on an upstream journey of faith and fish to prove the impossible, possible. Mommy Bear’s Family Movie Review – This movie is cute, well done, and perfect for children. 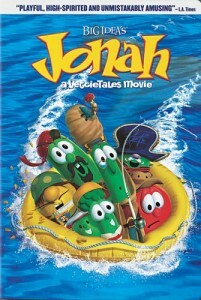 I recommend this one for anyone looking for a good movie for their small kids to watch! Summary – The king needs a new queen, and Esther has been chosen! But she’s about to find out that being queen is going to take more courage than she ever imagined! Mommy Bear’s Family Movie Review – This movie shows us that if we have patience with other people, they will benefit from our example! This movie is simple and easy to follow, yet it tells a good story at the same time. A great movie to watch around Christmas time! Summary – Overwhelmed widower Seth Webster (Van Der Beek) is searching for a housekeeper to help him with his rambunctious six-year-old twin sons. Mrs. Merkle (Roberts) – whom the boys call “Mrs. 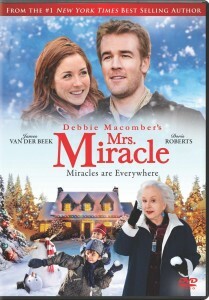 Miracle” – mysteriously appears and quickly becomes an irreplaceable nanny, chef, friend…and matchmaker. Mommy Bear’s Family Movie Review – This movie really helps you take your mind off of the troubles of everyday life and tells a good story at the same time, and the actors play their parts very well. I enjoyed this movie! Summary – When Annie (White) decides to take a two thousand mile journey to fulfill her husband’s last wish, her straight-laced son Richard (Richard Thomas, TV’s The Waltons) is adamantly against it. Like a modern day Thelma and Louise, Annie convinces her singer-songwriter granddaughter to embrace her free spirit, skip town and set off on an outrageous road trip filled with brushes with the law, a detour in Vegas, and an unexpected reunion. Mommy Bear’s Family Movie Review – The Mighty Macs is perfect for anyone who loves sports, especially basketball. While the story takes place at a Catholic college, there isn’t very much about religion in the movie. It is mostly about believing in yourself, your coach, and your teammates, and that makes it a great movie! Summary – When Coach Cathy Rush (Carla Gugino, Mr. Popper’s Penguins) arrives at tiny Immaculata College, the women’s basketball team has no budget, no uniforms and no gym. Refusing to give up, Cathy finds help from a young nun named Sister Sunday (Marley Shelton, Never Been Kissed). Together, their relentless drive reignites the team’s spirit and the Mighty Macs start conquering bigger and better-funded schools. As financial troubles rock Immaculata, the Macs charge into the championships against all odds. Can the Mighty Macs save their school with one last long shot at victory? Mommy Bear’s Family Movie Review – This movie is stupendous because it teaches us very well lessons of courage, bravery, and leadership, while helping us realize that we can be Christlike even in times of commotion, such as at war. The fact that this is based on a true story makes it even better! 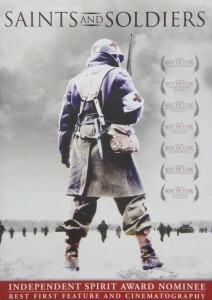 Summary – Based on actual WWII events, Saints And Soldiers tells the dramatic story of a small band of Allied soldiers trapped behind enemy lines with information that could save thousands of American lives. Outgunned and ill-equipped, they must battle the frigid wilderness and roving German troops to smuggle critical intelligence back to Allied territory. Mommy Bear’s Family Movie Review – This movie teaches the value of hard work, while at the same time being a love story. This is a good movie with no bad language, sexual innuendo, or violence. This is a good one for the entire family! Summary – When Eliza’s father-in-law dies suddenly during the Depression, she is left with two young children, an unharvested orange crop on a heavily mortgaged farm, and no money. Bible-quoting Aunt Batty urges her to have faith. Gabe Harper, a wandering veteran with wonderful manners and an air of mystery, is willing to help with the harvest, but the mortgage payment is due in less than 30 days. As the family fights to complete the harvest in time to make the mortgage payment, Eliza and Aunt Batty discover that Gabe is a writer, and Gabe and Eliza fall in love. Mommy Bear’s Family Movie Review – This is not my favorite of the series but I still liked it a lot. It has a cute and precious storyline and makes it intriguing to watch. 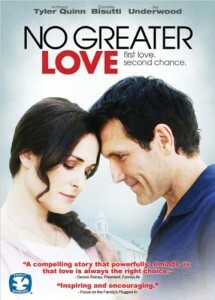 This movie is sweet and shows another great side to love! Summary – Two years after the death of her husband, Missie knows that it is time to move on. She heads home with her son to be near her parents and to return to teaching. Certain she will never find love again. Missie redirects her feelings and when the “orphan train” arrives in town, she adopts Belinda, a feisty young teenager who’s arrived with a secret. As Missie struggles with raising Belinda, she finds she is falling for the local sheriff who might be the only man who can help her save Belinda….and herself. Mommy Bear’s Family Movie Review – This movie is one of my favorites. There has not been a time where I have watched it and not cried because I was touched by the story. It has a main focus on how people can change and we can find the real meaning of life and love. It is also a great movie showing that life doesn’t always go as expected and it makes it a fun movie too! Highly recommended from me! Summary – Sam Roberts thinks he has all the answers: the purpose of life, the meaning of love, the plan for a perfect future. Until Charly walks into his life. Mommy Bear’s Family Movie Review – This movie is awesome becomes it portrays a man who at first cares only about money, and throughout the movie changes his views with the help of an “angel,” and realizes that people, particularly family and those we love, are so much more important than money and material wealth. Summary – Fifteen years ago, Ben Walker (Kevin Sorbo) made a decision to leave his college sweetheart Wendy (Kristy Swanson), and ultimately his faith, in order to pursue a lucrative business opportunity. Now on the verge of marriage to an equally materialistic fiance, he is visited by an angelic mechanic (John Ratzenberger) who tells him that he needs to see what his life would have been like had he followed Gods calling. 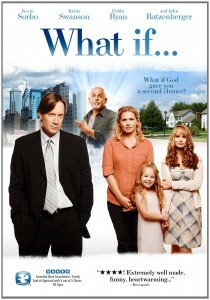 Suddenly, Ben finds himself married to Wendy with two daughters, including a rebellious teen (Debby Ryan), getting ready for church on a Sunday morning, where he’s scheduled to give his first sermon as the new pastor. If Ben wants to get back to his old life, he must first learn to appreciate the value of faith and family, and perhaps rediscover the love of his life. Mommy Bear’s Family Movie Review – This one is a little bit more boring than the others in the series in my opinion but I still enjoyed it. The storyline is not as dynamic as the rest of it is. Summary – The eight compelling film based on Janette Oke’s acclaimed Love Comes Softly novel series stars Sarah Jones as Dr. Belinda Owens, a young woman with a loving husband (Jordan Bridges) and a rewarding career. But when Belinda’s pregnant friend Annie (Haylie Duff) comes to stay, Belinda must come to grips with her own inability to conceive. And when Annie’s meddlesome mother-in-law (Oscar Winner Patty Duke) gives Belinda advice about her medical practice. Belinda looks to a higher power for strength, wisdom and even diplomacy in this riveting installment of the popular, uplifting films about the enduring power of love and faith.